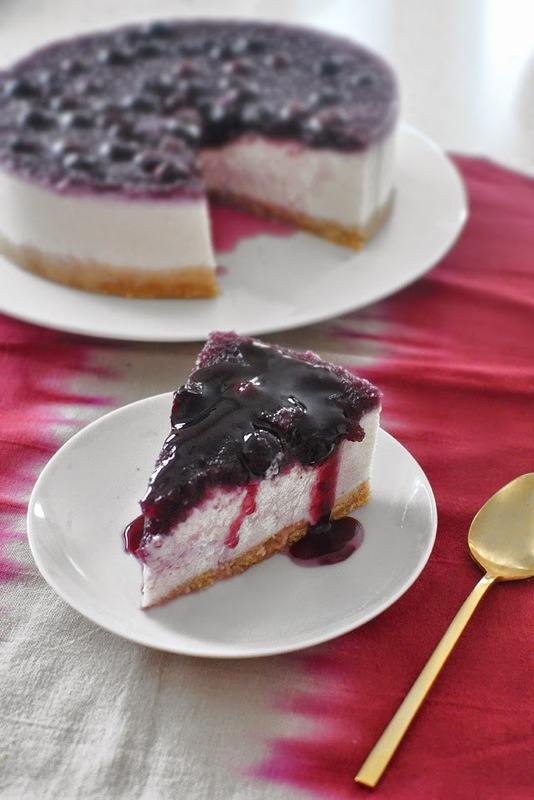 It's been a few weeks since my last post and being in the new year now and all, I wanted to make something healthier but still sweet really bad, and I was thinking off cheesecake for quite a while now so that is how I got the idea for this yogurt cake. It is really delicious and my two sons who think yogurt is the best thing to ever happen really loved it and asked for seconds and thirds. The yogurt cake is good on its own by itself, but it's quite something with the blueberry syrup on top! So without further ado, her is the recipe so you can make your own! Combine the vanilla wafer crumbles with butter and mix well. Press into a cake spring-form and let it cool in the fridge while you are finishing the rest of the cake. 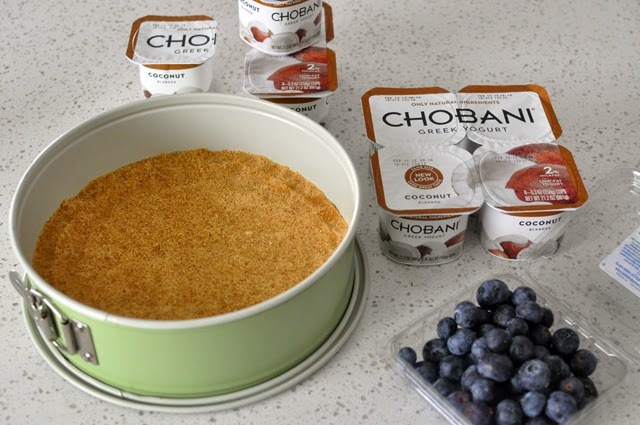 Whip up the heavy cream until it forms peaks and then mix it in with Chobani Coconut Greek Yogurt. There is a lot of flavors to choose from so you can easily substitute coconut flavor for whatever you like! Soak the gelatin in a small bowl of cold water until softened. Add a few spoons of your yogurt mixture into the gelatin and mix before adding it to the rest of the yogurt and cream mixture. Once you have everything combined, pour the mixture into your spring-form and put it into the fridge to sit over night. For the blueberry syrup put all of the ingredients in a pot and cook on medium to medium low heat until it becomes syrupy and bubbly, for about 10 to 15 minutes. Let cool completely before pouring over the cake in a very thin layer. Reserve the rest of the syrup to serve with cake later. Before talking about the cakes i feel like i should address the photography because it looks so good the recipe seems pretty simple too .